The last few weeks have been a whirlwind of activity for our Company. 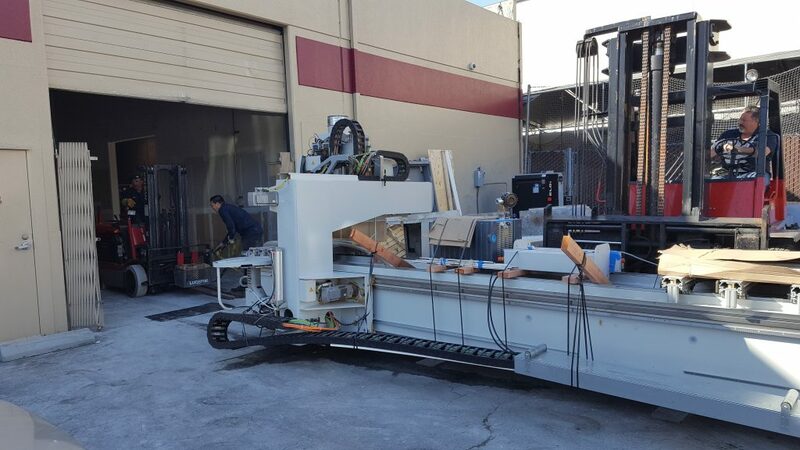 Moving a CNC machine weighting nearly 5 tons, along with our paint booth system was quite a challenge. However, the move will pay dividends in the long run. It gives us permanent home with expanded capacity to serve the Bay Area community with new doors. 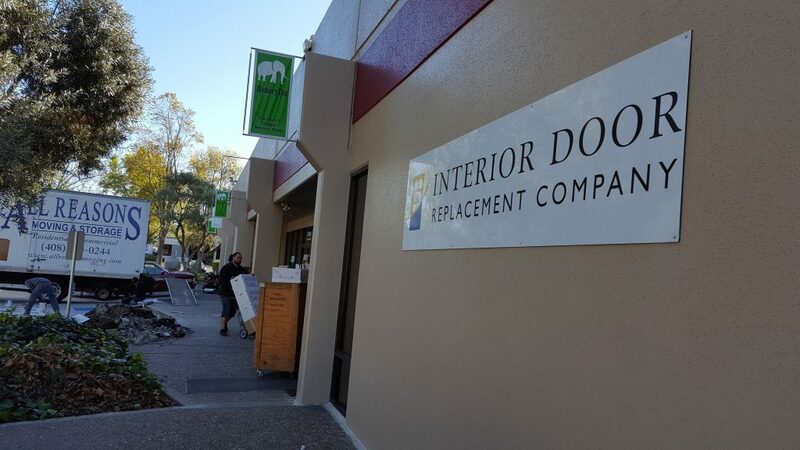 This week we restart door cutting and painting operations at 2810 Bowers Avenue, Santa Clara. Our showroom is also open for business (although we ask visitors to be understanding about unfinished door displays and stray moving boxes for the next few days). 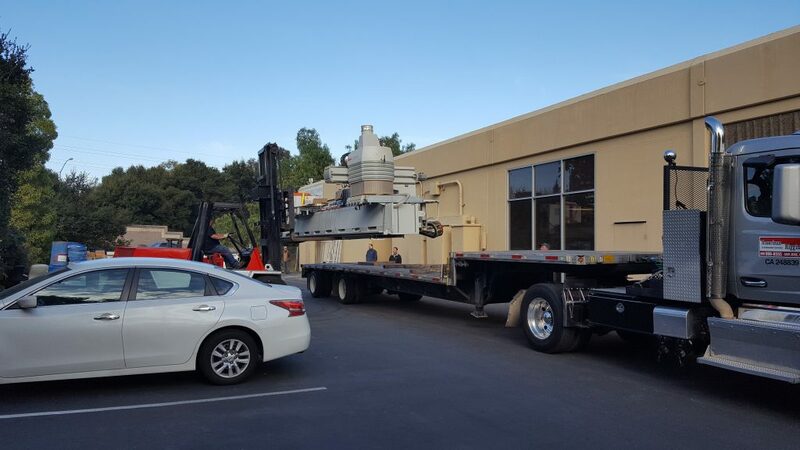 Below are a few pictures of the move.